This was a WILD one. I had the game on for much of it, and once again the Angels’ magical season rolls on through an improbable event. It was Albert Pujols’ 19th inning home run – the 514th of his illustrious career – that kept this game from running into some Sunday morning church services. By the end of the game, Pujols had played five innings at his old position third base. Matt Shoemaker had thrown three scoreless innings as the final arm out of the Angels pen. Mike Trout hit a solo home run in the 8th inning, his 25th of the season and first as a 23-year old player off Clay Buchholz; who was actually throwing a pretty good game. They were just getting started at that point. Of course I dozed off somewhere in the 16th or 17th inning, at 2:30 AM ET, a time when no normal human should still be up to see how a ballgame concludes. 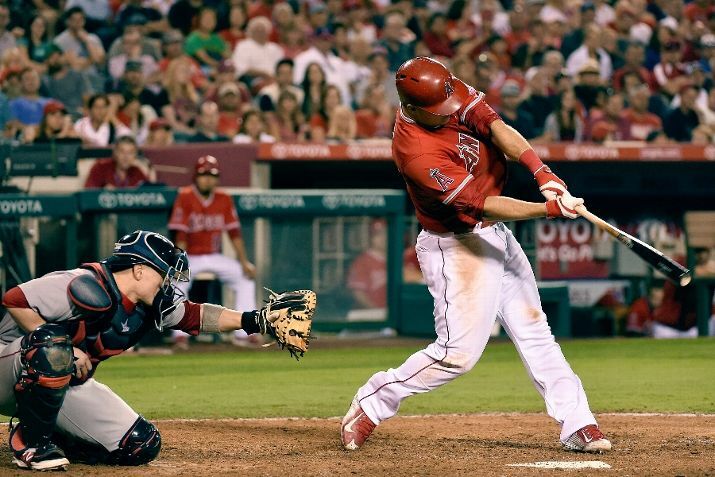 This was one of the better games of the season and an incredible effort by the Angels. The Angels turned around today and lost 3-1 in the series finale. Their only run coming on Mike Trout’s 26th home run of the season. These teams were dog tired, and today would have been a great under bet with your local book. Of course, we were out baby crib shopping all day; so we didn’t capitalize.